Over the next few weeks, we will be discussing the work of Carl Jung on this blog and the role his work plays into hypnotherapy. 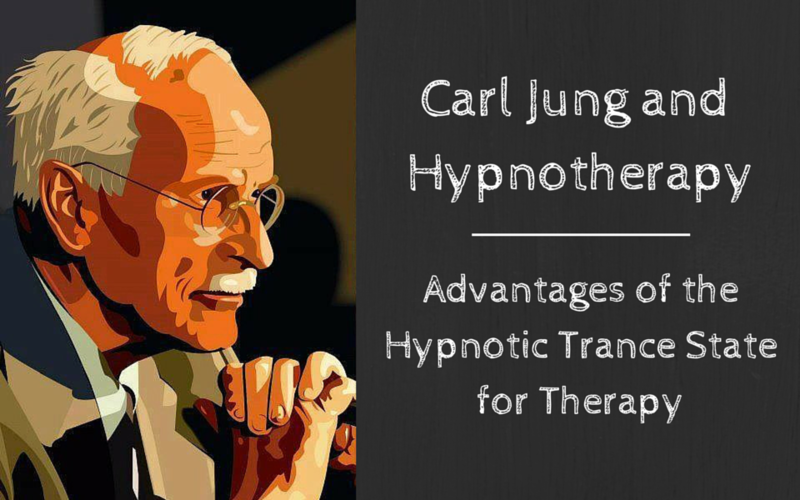 Jung briefly incorporated hypnosis into his clinical practice, which initially drove his client base. He later abandoned hypnotherapy in favor of dream work and his self-developed "active imagination" technique. While he avoided using the language and literature of hypnotherapy, James A. Hall (a notable Jungian analyst and author of Jungian Dream Interpretation), noted that he continued to appropriate many of the techniques used in hypnotherapy. Most notably: the hypnotic trance state. access to, and indeed activation of, the somatic unconscious through implicit memories, vis-à-vis the dominance of theta frequency brain waves. access to being in the subconscious state (theta brain waves) while retaining a link (alpha) to the conscious mind (beta). bypasses the conscious mind and its defended ego and persona. The altered state ego is less defended and more loosely identified with a historic self-image, allowing more direct access to the complexes, Shadows, Animus or Anima, and the personification of the Self. a neutral point of view available to the hypnotic ego, relative to the waking ego. There is a natural fluidity to moving into and out of various complexes, and to recognizing the relationship between them. The phenomenon of self-hypnosis brings into focus this fluidity, where there is an active ego and a recipient or passive ego engaging one another. powerful “corrective emotional experiences”, e.g., in hypnotic age regression the individual discovers, revivifies, and re-empowers the age-regressed ego state that originally split thus creating a complex. provides containment for the client, not only through unconditional acceptance and through carrying the client’s projections without reacting, but also temporarily assuming the responsibility of the ego itself to maintain coherence among the tacit components of its structure, allowing components permission and freedom to express. can be observed to be a “lived through form of active imagination,” just as the transference situation in Jungian analysis can be considered a form of active imagination. The analyst or hypnotherapist has a role in analytic therapy similar to that of the ego in active imagination: the therapist engages with the patient’s spontaneously arising material to encourage dialogue. The framework of hypnotherapy provides a very useful vehicle for accessing the altered state necessary as catalyst to receptivity to the unconscious imagery. Clinical reports show that the most common problem in depth psychological work is blocked imagery. one of the distinct advantages of hypnosis as a catalyst for active imagination or dream work is the dual focus that is generated on both physical sensation and psychical mentation. Direct access to both ends of the spectrum of the unconscious yields content from pre-verbal and pre-conscious levels, transpersonal and psychospiritual experiences. This can, for many people, “prime the pump” of the flow of imagery and unconscious material. hypnosis can facilitate the incorporation of shamanic practices to access the psychoidal realm. There's a lot to learn from Jung's unique incorporation of hypnotherapy. If you'd like to remain subscribed to this series and not miss an update, simply input your email in the top right (if you are viewing this on your computer) or the end of this post (if you are reading this on your mobile phone). By subscribing, you can insure you won't miss a single update on this series. Of course, if you'd like to follow in his footsteps and incorporate hypnotherapy into your own practice, we have a training and certification course for that. Just click the banner below to download the course guide.